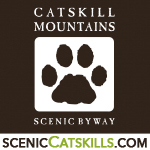 Welcome to the Catskill Mountains Scenic Byway! Below is a comprehensive form for you to complete so that we may include your business or organization on our new website. Please be detailed in your information as this is an opportunity to tell the public everything you want them to know. We want to provide as much information as we can on your behalf so that we may entice more visitors and customers to visit your community and your business! We are orienting visitors to The Scenic Byway using the 4 Towns and 2 Villages listed below. The specific city, or hamlet that you are in will also be displayed for the visitor. Please choose one of the 4 Towns or 2 Villages below and only use the other if your listing is off the designated Byway route. Please be sure to include the "http://www." when typing your entry! Please choose one category the fits your business best. You may then use the Business Description and Additional Information sections below to provide as many additional details that you would like visitors to know about. If none of the categories above describe your business, please use this field. Be sure to use this area to not only describe your business but to highlight important details. The more specific you are, the more your business will be found on the website. Be sure to use these fields to include important details about your business. Examples are: Restrooms; Breakfast; Water view; Farm to Table; Group Rates; Open Year-Round. The more specific you can be, the more likely your unique business will found by visitors to the website. You may add as many terms as you like. Enter each term on one line and use the + button to the right of this field to enter more! This is a business owners' list, different from the marketing list. We will keep you updated on the progress of the marketing and be sure you are connected with us!